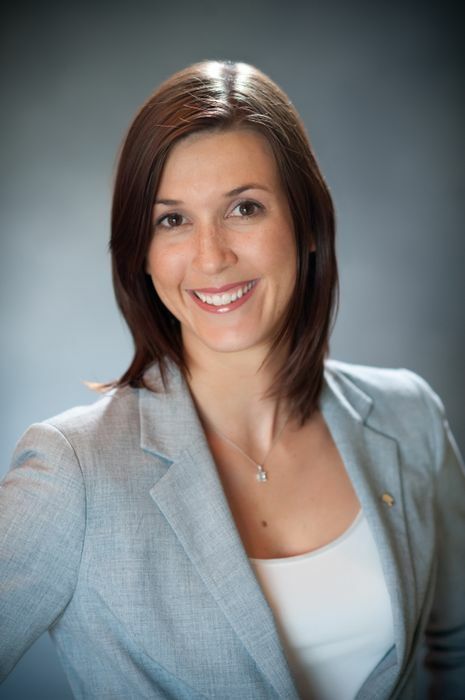 MIDDLEBURG, VA – Salamander Hotels & Resorts has appointed Penny Kriel as spa director at the new Salamander Resort & Spa. Scheduled to open on August 29 in the storied village of Middleburg – in the heart of Virginia’s horse and wine country – the resort includes an architecturally stunning spa featuring wellness inspired programs, outdoor stone treatment terraces, and a private courtyard replete with infinity edge relaxation pool and cabanas which overlook the dense forest. Kriel joins the Salamander executive team from the Mandarin Oriental in Washington D.C. where she worked as spa director for the past seven years. She has also served as the Secretary of the Washington Spa Alliance Board of Directors. Already named to several 2013 World’s Top Hotel Openings lists, including those from Forbes and USA Today, Salamander Resort & Spa is the only new luxury destination resort to open in the United States in 2013. Owned by Sheila C. Johnson and located on 340 picturesque acres, it features 168 rooms and suites inspired by the renowned designer Thomas Pheasant. The resort is only 20 miles from Washington Dulles International Airport and one hour from Washington, D.C. The spa, which is open to members of the public as well as resort guests, features14 deluxe treatment rooms with private outdoor treatment terraces, gas fireplaces and an innovative detoxification Rasul wet treatment. There is also an exclusive Couple’s Suite with private terrace, whirlpool and shower; and men’s and women’s relaxation areas with soaring whirlpools and saunas, heated stone recliners and experiential showers. In addition to the pool and cabanas, the secluded spa courtyard features a raised fire pit and whirlpool, while the 10-station salon offers hair, makeup, manicure and pedicure services. There is also a day-lit fitness center including an indoor pool, cardio and weight room, two movement studios and a sauna. Salamander Resort also features Virginia Piedmont-inspired signature restaurant and banquet dining overseen by Washington, D.C. Chef of the Year Todd Gray, a media-ready Cooking Studio, Wine Bar and a two-acre Culinary Garden. In keeping with its geographical setting, the resort includes a full-service equestrian center and an array of programming, while the property’s 22-stall stable even offers equine enthusiasts the opportunity to bring their horses along on vacation. The resort also features 12,000 square feet of indoor conference and event facilities, including a 5,000-square-foot Grand Ballroom and unique outdoor spaces like the Grand Lawn, Courtyard Garden and a restored, century-old Stallion Barn. Originally from Mafikeng, South Africa, Kriel gained an Honors and CIDESCO Diploma in Advanced Skin Care and Cosmetology, Aromatherapy, Reflexology and Massage Therapy from the Tina Scholz Health and Skin Care Academy in Potchefstroom. After working as a therapist onboard Crystal and Princess Cruises for nine months, she began working as a head therapist and later business development manager for the Image Institute in Rosebank, South Africa, where she specialized in Guinot, Clarins and Environ treatments and products. In 2005, she started working at the Mandarin Oriental, Hyde Park, in London as Spa Operations Manager. She also has a Diploma in Management Development from the RMIT University in Melbourne, Australia. Salamander Resort & Spa is now taking overnight reservations online. Peak season pricing starts at $425 per night, while non-peak season rates begin at $275 per night. Packages and group pricing are available. For more information, including a spa menu, visit www.salamanderresort.com or call 866-938-7370. Salamander Hotels & Resorts is a privately owned and operated company based in Middleburg, VA, just outside Washington, D.C. Founded by entrepreneur Sheila C. Johnson in 2005, the company has a portfolio that features a collection of three stellar golf resorts including the recently renovated Innisbrook Resort near Tampa, Reunion Resort in Orlando and the oceanfront Hammock Beach Resort in Palm Coast; and the eagerly anticipated Salamander Resort & Spa in Middleburg, a 340-acre equestrian-inspired, luxury resort located near Washington, D.C. opening in August 2013. For additional information, call (540) 687-3710 or visit www.salamanderhotels.com.